Need a reason to own this Australia Koala Silver Dollar? 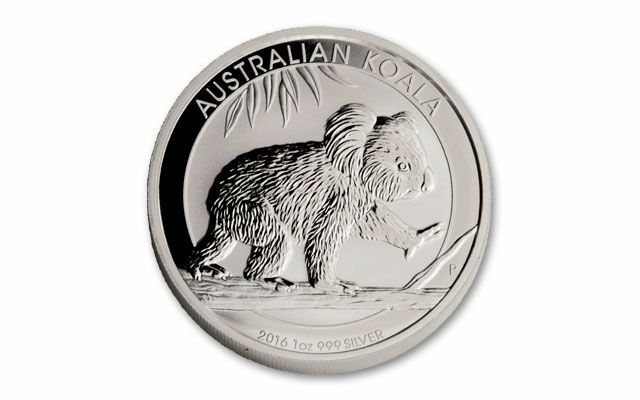 This is our FIRST RELEASE of 2016 Australian Koala Silver Dollars. Lock in yours now in pristine Brilliant Uncirculated condition - exactly as issued by the mint. The Koala is Australia's Silver Dollar. This massive Silver Dollar contains a full Troy ounce of 99.9% pure silver. With a diameter of 40.6 mm, it's one of the largest Silver Dollars in the world! Savvy buyers know that there's a secret to buying legal tender Silver Dollars. You own pure silver with the absolute security of government guaranteed purity, weight, and authenticity. This government guarantee is struck directly into the surface of the coin! 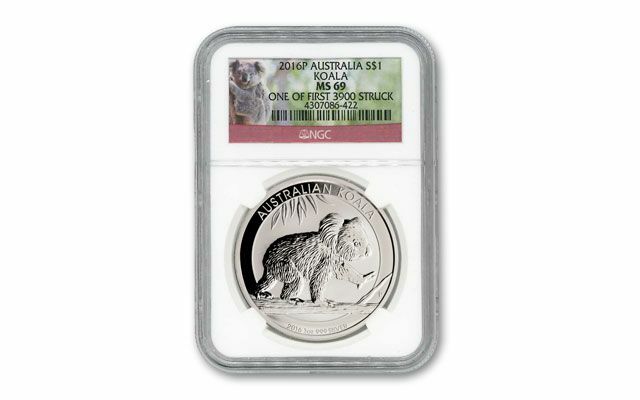 This Australian Koala Silver Dollar is one of the world's most limited Silver Dollars! MILLIONS fewer Silver Koalas are struck than any of the comparable silver coins of Canada, China, Austria, Mexico, or the U.S. Collectors place low mintage coins near the top of their "must have" list - and you should too! 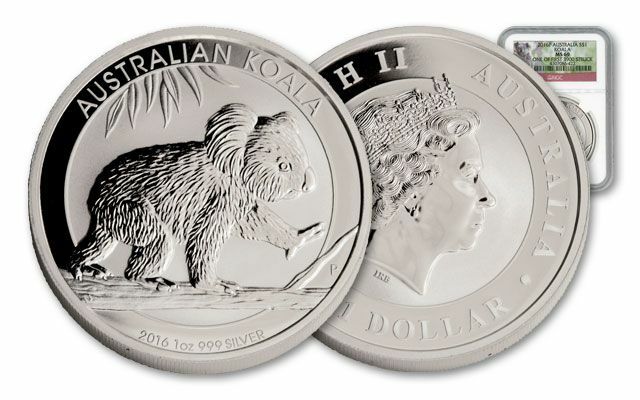 The mintage for the 2016 Koala Silver Dollar is strictly limited to only 300,000 for the world. That's over 43 million less than the comparable U.S. Eagle Silver Dollar! The design for the Koala Silver Dollar changes each year, which keeps collectors coming back to this popular series as they seek to own all the past designs. This 2016 Koala Silver Dollar design features a furry koala confidently walking along the branch of its favorite eucalyptus tree. 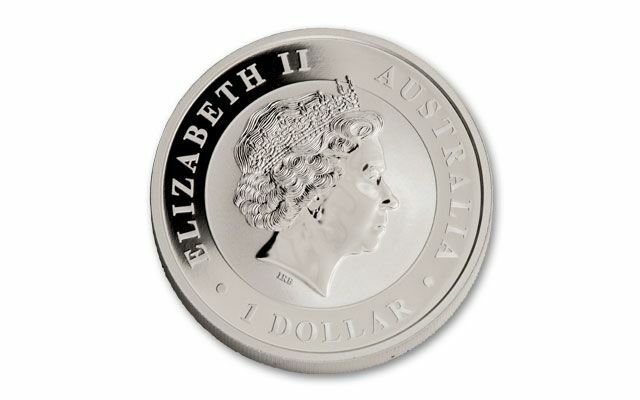 As official Australian legal tender, the obverse design features Queen Elizabeth II. As you have already seen, the official mintage for the 2016 Koala is remarkably low. But as the distributor for the Koala Silver Dollar, we have secured the entire First Struck Mintage from the renowned Perth Mint. There are only 3,900 first struck coins in existence - just a tad over 1% of the totally mintage! This example grades near-perfect Mint State-69 (MS69) First Struck by Numismatic Guaranty Corporation (NGC). Collectors covert first coins, because many believe their strike and luster to be superior to those struck later.